Aren’t these takes fantastic? 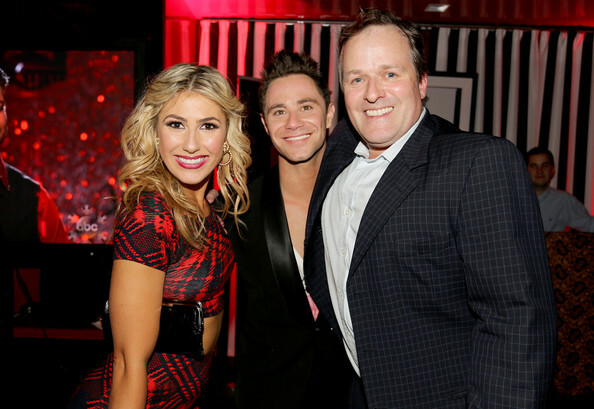 After the Grand finale, the cast attended a Dancing With The Stars Season 17 wrap party at Sofitel in Los Angeles, California. Pictured above is Brant Daughtery, Peta Murgatroyd, Sharna Burgess, Paul Kirkland, Emma Slater, Sasha Farber, and Dancing With The Stars executive producer Conrad Green. Their expressions say it all about Dancing With The Stars Season 17, don’t they?!! You can view more fun photos of them and others who attended at Zimbio Pictures. DWTS Season 17, Week 10 – Who’s Dancing What…and When?? Is this the second week in a row that Cheryl is just bad at math?? I think that should be 3rd and 8th, correct?? Who Derek dances with in his down time…Kate!